Manx Whale and Dolphin Watch Show! MWDW is proud to present our first ever Whale and Dolphin Show! You are promised an exciting and informative weekend learning all about the incredible large marine animals which inhabit Manx waters. 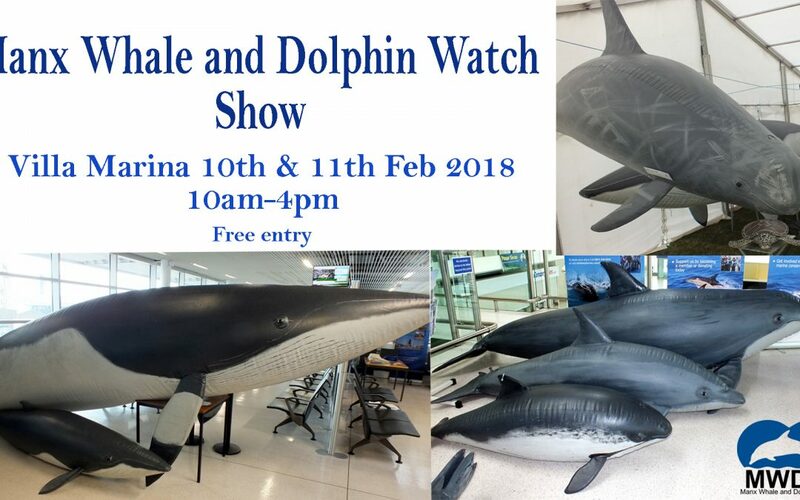 Internationally renowned Andy Peters from the Whale Workshop will be coming over from the UK to display an array of life-size and life-like creatures which can all be seen in Manx waters. What’s more….. entry is completely free for all the family! See you at the Villa Marina on 10th and 11th Feb!